I don't really like to say this but Christmas is only 6 weeks away, every year I say "I will be more prepared for Christmas" but it's usually a last minute rush. This year however, I want to be more organised and have everything sorted at least 2 weeks prior. 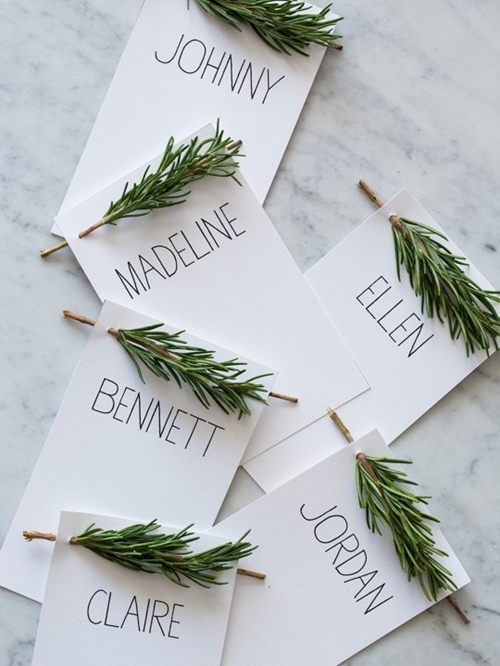 Christmas is most definitely a day where we share our home with family and friends, it is the gathering of people we love so dearly that make this day special but I do know that putting a little extra effort into the day can make it even more memorable. Not everyone has a grand staircase to decorate with trails of ivy, however, even the smallest of homes can look gorgeous. 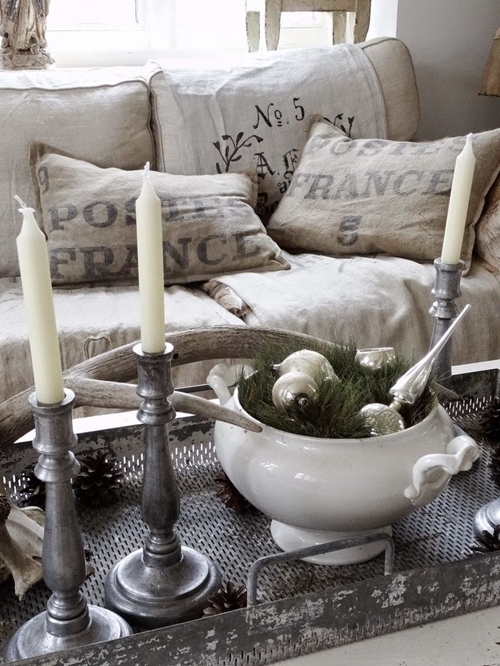 Creating a vignette on a tray that could be displayed on a coffee table, console or a kitchen island is a fabulous idea for a smaller home or a specific area of your home. 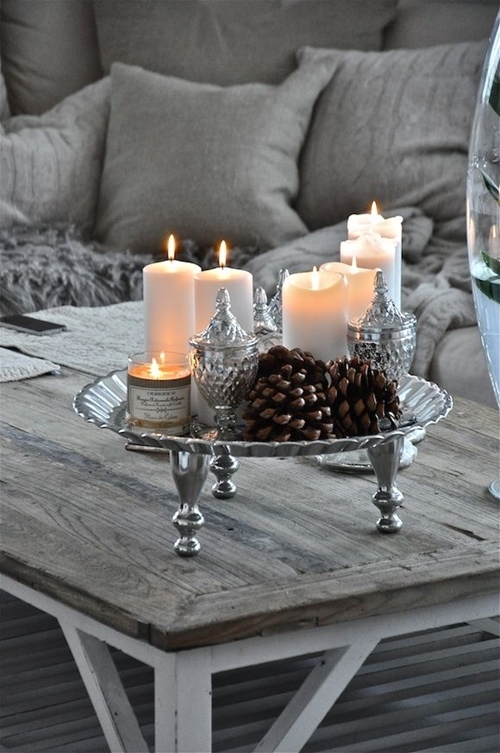 Selecting the right tray and items for your Christmas vignette will be much easier if you decide on a theme such as; vintage, coastal, French, contemporary, rustic, whatever suits your home and personal style. 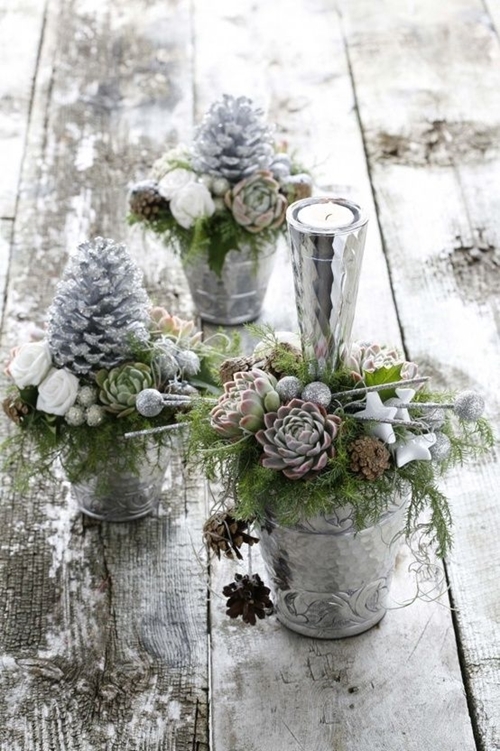 I am sharing some images to help you on your way and don't forget you don't have to specifically use a wooden tray, vintage silver platters or any small tray will work. I guess this subject could be a post on it's own so you may also want to read 'The Stylists Favourite Tool for Creating Tabletop Vignettes'. In this post you will learn about trays, theme's, key pieces, layering etc. 6. 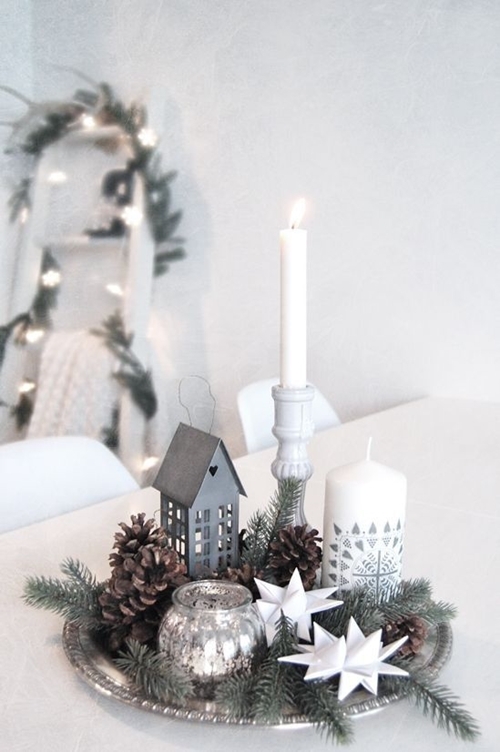 I love Centsational Girl's blog, she always has such pretty ideas and this simple idea of filling a tray with Christmas baubles and placing some decorative vases is perfect. Why not make your own ornaments using glass glitter. 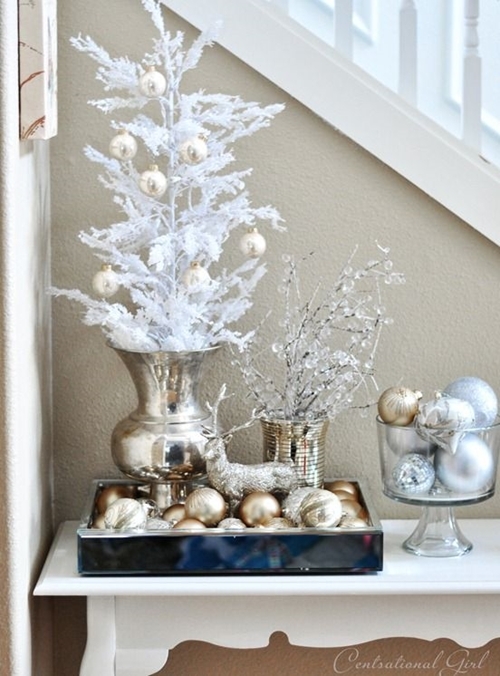 Purchase a plastic reindeer from the $2 shop and cover it with PVA glue and dip into silver or gold, glass glitter. The German glass glitter that Miss Mustard Seed sells is fabulous and if you live in NZ you can buy glass glitter at Spotlight too. I do find however, that glass glitter needs a thicker coating of glue than ordinary glitter. And how about a naked Christmas cake - I have a great recipe for a Christmas fruit cake I featured on my blog when I first started it. You could simply frost with butter icing, maybe not traditional icing but nevertheless effective. 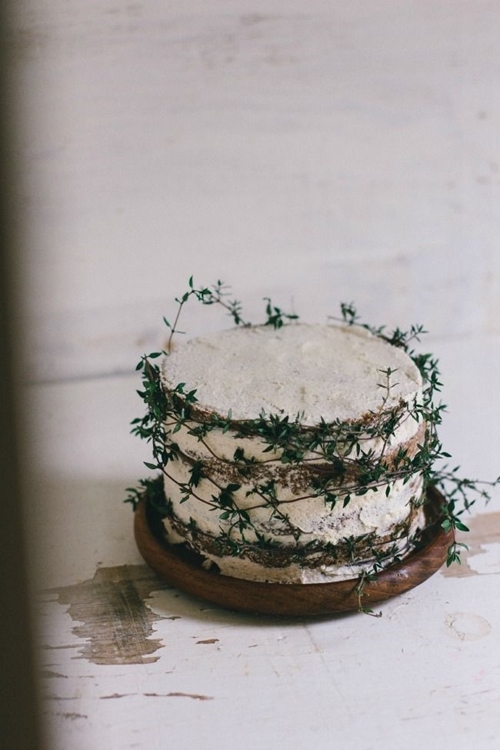 Or you could use the recipe I used recently to make my chocolate naked wedding cake. 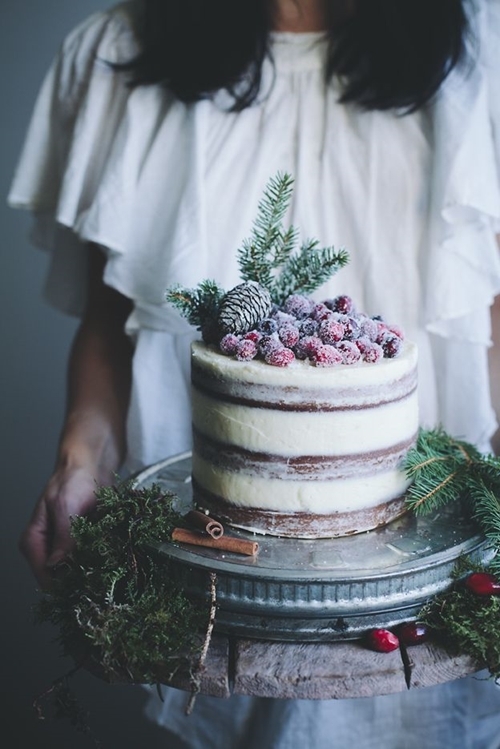 All you need to decorate your cake when iced is some festive berries and flowers. Above: Soft Gingerbread Cake with Cream - See how to make this gorgeous cake from a beautiful blog called, Call Me Cupcake. You could candy some cranberries using the method I used for crystallised rose petals. 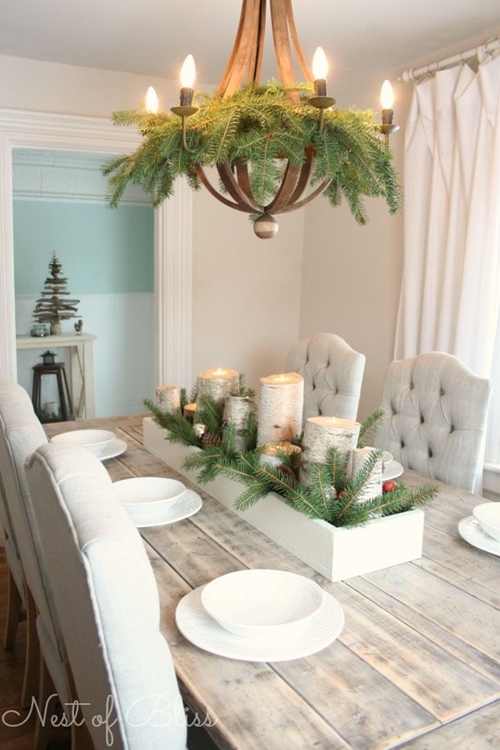 I hope you have enjoyed this Tuesday's festive mix, next week I will be looking for some dinner table ideas to share. 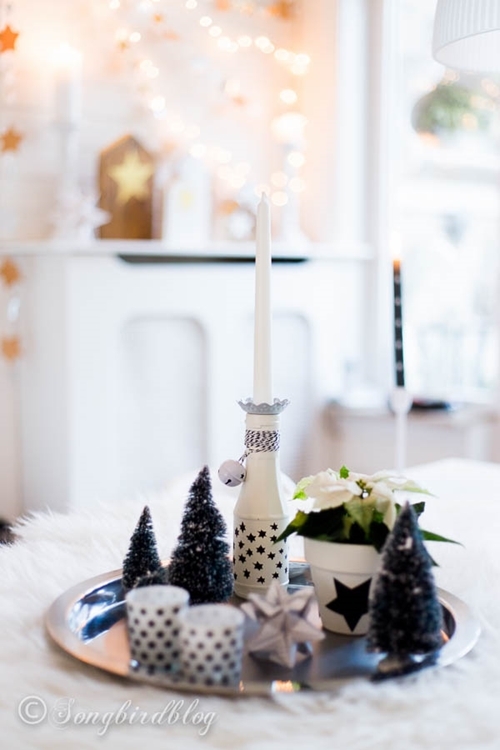 If you are looking for more Christmas Inspiration then you might want to explore a fabulous book I posted about last year, Christmas at Home by Stylist, Sandra Kaminski, there are pages and pages of decorating ideas that will make your home look special. Ha, ha yes I expect we all say this. I am still not sure what colours to user this year, I usually do something different each year, I used turquoise and silver a few years ago which looked nice but this year may use silver accents mixed with natural materials. I do like the classic colours too. I have a few ideas in my head researching for the post, now I just need to go out and do a bit of shopping.